Interesting and relevent article on these popular freebanding Ham Radios. While this site caters to general CB & 11 Metre Band operators, we do not condone illegal radio operation on ANY frequency or Mode. CQDX11.net implores all CB or non Ham operators to obey the laws of your country of residence. ILLEGAL U.S.A. CB TRANSCEIVER LIST. The U.S. FCC’s Office of Engineer and Technology (OET) has evaluated the devices listed below and has concluded that these devices are not only amateur transceivers but can easily be altered for use as Citizens Band (CB) transceivers as well. As such, OET has further concluded that these devices cannot legally be imported or marketed within the United States for the reasons discussed below. Further, the FCC General Council has issued a decision in a specific case involving one manufacturer and has concluded that dual use CB and amateur radios of the kind at issue may not be approved under the Commission’s rules and are in violation of several rules including the RF power level limits of 47 CFR 95.639. (letter from Christopher J. Wright, FCC-OGC to John F. Atwood, US Customs Service, dated May 17, 1999). Transceivers used in the Amateur Radio Service below 30 MHz do not require FCC authorization prior to being imported into or marketed within the United States, but transceivers for other services, including the CB Radio Service (CB), do require Commission approval. The transceivers listed herein and other similar models operate in the amateur “10-meter band” and are often referred to as “10-meter” radios or “export” radios. The amateur 10-meter band uses frequencies that are very close to the channels set aside for use in the CB service. Some of the transceivers that manufacturers call “10-meter” radios either operate on CB frequencies as manufactured and imported or are designed such that internal circuits can readily be activated by a user, a service technician or a dealer to operate on CB frequencies. According to Section 95.603(c) of the Commission’s rules, a CB transmitter is a transmitter that operates or is intended to operate at a station authorized for the CB service. 47C.F.R. § 95.603(c). The Commission’s equipment authorization experts in the FCC Laboratory have determined that the transceivers listed herein and other similar models at issue here are intended for use on the CB frequencies as well as those in the amateur service because they have built-in capability to operate on CB frequencies. This capability can be readily activated by moving or removing a jumper plug, cutting or splicing a wire, plugging in a connector, or other simple means. Thus, all the transceivers listed herein and similar models fall within the definition of a CB transmitter. See 47C.F.R. § 95.603(c). A CB transmitter must be certificated by the FCC prior to marketing or importation. 47 C.F.R. §§ 95.603(c); 2.803. Moreover, the dual use CB and amateur radios of the kind at issue here may not be certified under the Commission’s rules. Section 95.655(a) states: “…. ([CB] Transmitters with frequency capability for the Amateur Radio Services … will not be certificated. )” See also Amendment of Part 95, Subpart E, Technical Regulations in the Personal Radio Services Rules, FCC 88-256, 1888 WL 488084 (August 17, 1988). This clarification was added to explicitly foreclose the possibility of certification of dual use CB and amateur radios, see id, and thereby deter use by CB operators of frequencies allocated for amateur radio use. In addition, the Commission’s equipment authorization experts have determined that these devices violate or appear to violate a number of the rules governing CB devices. For example, they may use emission types not permitted, or emit RF power at a level in excess of the levels permitted in the CB radio service. See 47 C.F.R. § 95.639. In view of the foregoing, the following “10-meter” transceivers are not acceptable for importation or marketing into/within the United States. Importation and marketing of these units is illegal pursuant to Section 302(b) of the Communications Act and Section 2.803 of the rules. Willful violations of the Rules and the Act may subject the violator to a monetary forfeiture of not more than $11,000 for each violation or each day of a continuing violation. The Commission continues to review this type of equipment, and additional makes and models may be added to this list in the future. LIST OF TRANSCEIVERS ILLEGAL TO IMPORT OR MARKET IN United States of America. EAGLE – models: 2000 (same radio as the Saturn) and 5000 (same radio as the Saturn Turbo). We have not had the opportunity to evaluate these two models of Ranger radios, so I can’t specifically that they are illegal. We would be happy to evaluate these models, if a “virgin” unit could be obtained from the manufacturer. But until we have such an opportunity, we must assume that they are legal, in that they are not designed and intended to have the capability of easily being altered to operate outside of the amateur bands. However, if you can determine, on your own, that out-of-band capability does exist, as defined in the other FCC information which you already have, then you could reasonable assume that they are not legal. Based on this information, other radios may be added to this list, if we receive information that they are extremely easy to modify for 11 meter operation. 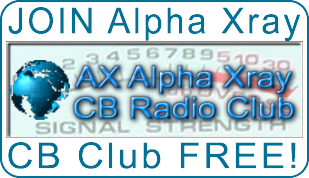 This entry was posted in ALL Articles, CB Radio's, DX NEWS, HAM Radio's by Greg 43AX005. Bookmark the permalink. This is such a great weblog over here. I wanna thank you for that and I’ll visit your website again. Please take a look at my website also??? Thanks!